Driving the car he drove in his memorable Kansas finish the month before, #99-Carl Edwards did absolutely everything he possibly could to catch point leader #48-Johnson, leading the most laps and winning his series-leading ninth win of the season, but came up just 69 points short. After qualifying 4th, he first took the lead from teammate #17-Kenseth on lap 12, let the #17 by, then retook the lead on lap 19. From there, he sliced through lapped traffic, nearly running over #47-Ambrose on lap 118. He also had to hang on as he was bumped loose by #11-Hamlin with 68 to go and again by #18-Ky. Busch with 56 to go. Under the fourth caution on lap 168, he lost the lead when other drivers used pit strategy, then inched his way toward the front during the final long green flag run following the seventh and final caution with 61 to go. Knowing #48-Johnson was still running strong, Edwards decided to repeat his fuel gamble from Texas. This time, by ten laps to go, he was again in a battle with #17-Kenseth, a race which slowed down as both drivers tried to conserve. When the #17 ran out with just 4 laps remaining, Edwards took the lead and crawled to the finish, running out of fuel as he crossed the finish line. Edwards also won the Nationwide Series finale the night before, but, again, fell short of Nationwide Series champion #07-Bowyer. Led a race-high 157 laps. 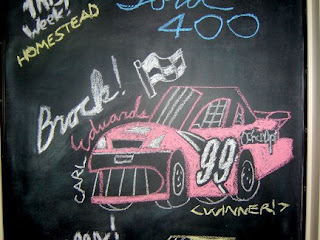 1) #99-Carl Edwards** THE WINNER! 2) #29-Kevin Harvick** After fighting tooth-and-nail to help teammate Ron Hornaday try and win the Craftsman Truck Series title, he moved into contention from the 5th spot to close in on leaders #17-Kenseth and #99-Edwards during their early battle. Late in the race, still running in the top 10, he pitted for fuel along with #26-McMurray, #24-J. Gordon, and others under the seventh and final caution with 61 to go, knowing it was unlikely anyone could make it the rest of the way. As it turned out, #99-Edwards did make it, and he was just barely able to hold of #26-McMurray for 2nd. Led 1 lap. 3) #26-Jamie McMurray Picked up his third-straight 3rd place finish, rounding out an impressive late-season charge. He qualified 7th and was still 6th on lap 91. 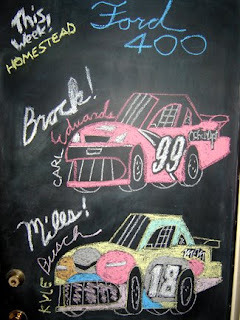 He pitted along with #29-Harvick and #24-J. Gordon under the seventh and final caution of the race, putting him in position to go the rest of the way. Debuted a new paint scheme for his Crown Royal-sponsored car as he had the last two seasons. Ran his last race with crew chief Larry Carter, who will be working with Paul Menard in 2009. He will be reuinted with former Ganassi crew chief Donnie Wingo in 2009. 4) #24-Jeff Gordon** After struggling early in the race, he took the lead for the first time by staying out under the fourth caution on lap 168 and managed to hold it for several laps before #17-Kenseth re-assumed the lead with 82 to go. After losing the spot, he held firm to the runner-up position by waging a great side-by-side battle with #11-Hamlin for several laps. Under the seventh and final caution with 61 to go, he pitted along with #29-Harvick and #26-McMurray to try and make it to the finish. Though his winning streak would end at 14 seasons, the gamble otherwise paid off with a top 5 finish. Led 16 laps. 5) #07-Clint Bowyer** On Saturday, he finished fifth and clinched his first-ever NASCAR title by 21 points over #99-Edwards as the newest champion of the NASCAR Nationwide Series. On Sunday, he started back in 27th, then under the first caution on lap 70, moved up to 3rd with a two-tire stop. He held fast to a top 5 run by stretching his fuel and finished 5th in his final run in the #07 car. Will drive the new Cheerios-backed #33 for RCR in 2009. 6) #9-Kasey Kahne Lost a lap, then got it back when #2-Ku. Busch hit the wall to bring out the third caution of the race on lap 151. 7) #28-Travis Kvapil Was one of the fastest cars in Friday's practice session. On Sunday, he lost a lap, then got it back when #41-Sorenson’s brush with the wall brought out the sixth caution of the race with 68 laps to go. He and #9-Kahne likely pitted under that caution and were able to make it the rest of the way. 8) #5-Casey Mears Solid top 10 run in his final start for Rick Hendrick; will take over #07-Bowyer’s RCR #07 in 2009. 9) #20-Tony Stewart** Emotional in his final start for Joe Gibbs Racing, he was determined to round out his time in the #20 with a win. After qualifying 13th, he was up to 9th on lap 36, then 5th on lap 91. After hanging around the top 10 for much of the night, he vaulted into the top 5 in the final 40 laps, moving into 2nd and closing fast on leader #17-Kenseth with 29 to go. With 24 to go, he was back to his old tricks, saying “Here, kitty, kitty, kitty,” as he had in his 2007 Indianapolis victory as he got to the bumper of #17-Kenseth. He took the lead one lap later under cheers from the crowd and held it until he pitted with 12 to go. Moved up into 9th in points. Led 11 laps. 10) #1-Martin Truex, Jr. A refreshing change-of-pace from his frustrating early DNF at Phoenix the week before, rounding out the season on a high note. 11) #10-A.J. Allmendinger Lost a lap early, then got it back as the Lucky Dog when #8-Almirola’s spin brought out the first caution of th race on lap 70. In the end, he picked up yet another top-15 finish, moving the #10 team from 331 points behind 35th when he took over the ride at Martinsville to just 80 points after this Homestead finale, a mere five races. 12) #21-Bill Elliott Turned in his best finish of the year with a 15th place starting spot that he successfully defended through much of the race, still running 15th on lap 49. However, the long green flag runs put him a lap down, but the car was still fast enough to allow him to get the Lucky Dog when the second caution fell for debris on lap 140. In the end, he picked up his best finish of the season, besting his 16th place finish at Martinsville the previous month. 13) #11-Denny Hamlin** Looking to pick up his third-straight top-five finish at Homestead, he was the fastest car in Happy Hour. The car showed it on Sunday as well when, despite qualifying 25th, he flew up to 14th by lap 37. In the final 100 laps, his car really came to life and, for several laps starting with 76 to go, he engaged in a great side-by-side battle with #24-J. Gordon for 2nd. After the sixth caution with 68 to go, he restarted 3rd and fought #99-Edwards so hard for 3rd that he bumped th #99 loose through the turns. He pitted for the final time with 11 to go. 14) #66-Scott Riggs Lost a lap, then got it back as the Lucky Dog when #31-J. Burton’s spin brought out the fifth caution of the race with 90 to go. Picked up his best finish sine Talladega in October in his final ride with the team. The #66, solidly in the top 35, will become Ryan Newman’s #39 car in 2009. 15) #48-Jimmie Johnson** Successfully-defended his point lead and picked up his third-consecutive NASCAR Sprint Cup championship, becoming the first driver since Cale Yarborough in 1976-1978 to do so. The road was by no means easy. He struggled mightily in qualifying, forcing him to start back in 30th while runner-up point man #99-Edwards started 4th. Through the first part of the race, he carefully moved up through the pack, moving to 21st by lap 11, 18th on lap 24, and 11th on lap 100. He hovered at that point, however, and on lap 150 was stuck in a tight race with lapped and lead lap cars. This was not helped under the fourth caution on lap 168 when several cars took two tires, trapping him back in 14th for the restart. Still struggling, his crew took a gamble by taking 2 tires under the sixth caution with 68 to go, giving him the lead for the first time. #17-Kenseth got by him just before the seventh caution of the race with 61 to go and he pitted for the final time with 14 to go. Despite running mid-pack, he finished under power and won the title by 69 points. Led 6 laps. 16) #83-Scott Speed (R) After switching rides with teammate #84-Vickers in a successful bid to get the #84 into the top 35 in owner’s points, he surprised everyone in qualifying when he qualified on the outside pole in only his fifth Sprint Cup start. After a few cars slipped by in the early laps, he still managed to hang on to the 7th spot on lap 30. Will start the Daytona 500 in February as his #84 team sits 35th in owner’s points. 17) #42-Juan Pablo Montoya Was the fastest car in Friday’s first practice session. He led some laps during early pit stops and was running 6th when he pitted for the final time with 16 to go. Led 2 laps. 18) #16-Greg Biffle** Despite his Homestead prowess, he qualified 23rd and struggled early in the race. During the first round of green flag stops on lap 54, he served a pass-through penalty that put him a lap down. On the lap 70 restart following the first caution of the race, he shot past #99-Edwards to get his lap back the hard way. He lost the lap again when he served a penalty for an uncontrolled tire, then got it back as the Lucky Dog when #47-Ambrose brought out the fourth caution of the race on lap 168. This done, he was firmly on the comeback trail, marching up to 16th with 79 laps to go. With 53 to go, he was up to 9th, having been as far back as 41st earlier in the race. He lost some of these spots when he was forced to pit for the final time with 18 to go, but still got a top 20 and secured his 3rd place ranking in points. 19) #18-Kyle Busch** On Saturday, he came just one position short of beating #99-Edwards for the win in the Nationwide Series, keeping his 2008 season tied with racing legend Sam Ard for most wins. His attention then turned to Sunday, where he looked to finish his best career season on a high note. He dodged a bullet during the second round of green-flag pit stops when, on lap 126, his crew changed his tires and found one of them had a slow leak, the leak accounting for his car’s poor handling. After the third caution of the race on lap 151, he was back to racing in the top 5, moving by #6-Ragan for fourth. He also bumped #99-Edwards in a battle for 4th with 56 to go. In the final laps, he moved up to 2nd, then ran out of gas on the last lap along with #6-Ragan. Moved up into 10th in points. 20) #44-David Reutimann On Friday, the hometown hero picked up his first-ever Sprint Cup Series pole in his 63rd career start, allowing him to lead the opening lap on Sunday before #17-Kenseth took the top spot. Impressively, despite a broken spring on his throttle lever, he was still running 3rd on lap 120. He fell back a little bit, then moved back up to 2nd by taking two tires under the fourth caution on lap 168. Made his last pit stop with 19 to go. Unfortunately, while picking up a solid finish, it was the first time the polesitter for the Homestead finale failed to finish in the top 9. 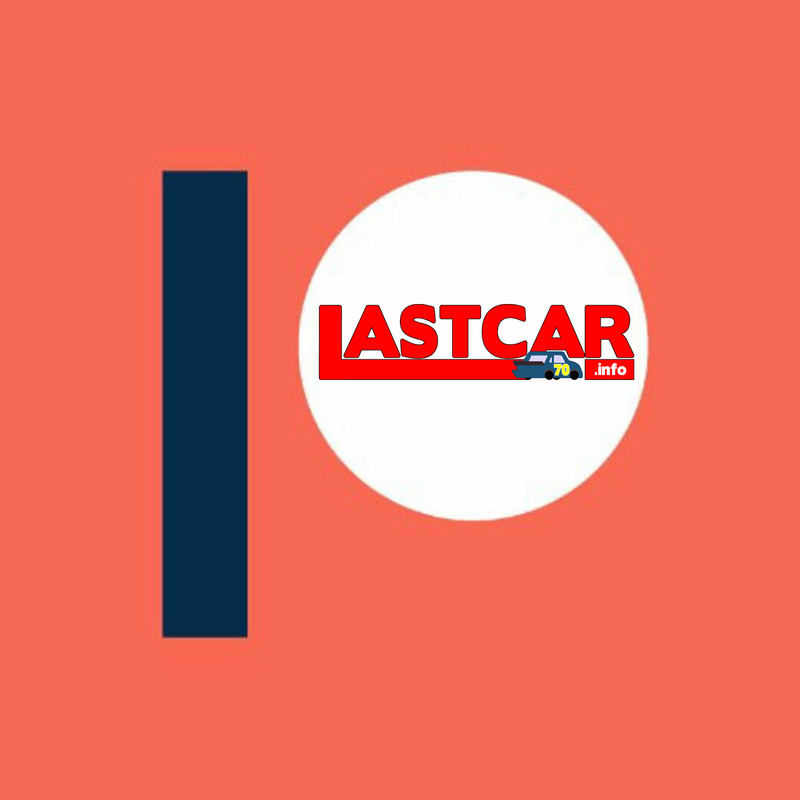 Will go back to car #00 in 2009. Led 1 lap. 21) #12-Ryan Newman Lost a lap, then got it back when teammate #2-Ku. Busch’s second accident brought out the seventh and final caution of the race with 61 to go. A quiet run in his last start for Roger Penske. 22) #22-Dave Blaney Despite a quiet run in the Cup race, Bill Davis Racing was still beaming after the Homestead weekend as the team’s Craftsman Truck Series driver Johnny Benson, Jr. finally picked up his first title in that series. 23) #25-Brad Keselowski (R) Scraped up his car a little during practice, but not bad enough to have to go to a backup car. Though off the leader’s blistering pace, he got another top-25 finish. 24) #6-David Ragan Qualified 6th and ran in the top 5 for pretty much the entire night, running as high as 2nd on lap 120. He was running 3rd as the rest of the field pitted, but his fuel gamble did not quite turn out as he was forced to pit on the final lap along with #18-Ky. Busch. Will be sponsored by UPS in 2009. 25) #17-Matt Kenseth** Took the lead on lap 2 and, after letting teammate #99-Edwards take the lead for the first time on lap 12, got it back, then was angry when #99-Edwards got back by. He lost a handful of spots during the first round of green-flag stops when, on lap 53, he locked his rear brakes and was forced to back up into his stall. He retook the lead with 82 to go by passing #24-J. Gordon, who had stayed out during the fourth caution on lap 168 as the rest of the field pitted for two or four tires. He took the lead with 82 to go only to lose it under the sixth caution with 68 to go when #48-Johnson took two tires to take the top spot. He took the lead back again just before the seventh caution fell for #2-Ku. Busch’s second accident with 61 to go. He held it until 23 to go when #20-Stewart’s rallying car got by, then retook it with 12 to go when the #20 pitted. From there, he and teammate #99-Edwards waged a low-speed battle for the lead almost a half-lap ahead of the field. His race ended when he ran out of gas with 4 to go while going down the frontstretch. Unfortunately, that late misfortune knocked him out of the top 10 in points to 11th and ended his streak of consecutive seasons with at least one win at six. Led 73 laps. 26) #7-Robby Gordon When #77-Hornish, Jr. failed to make the race after bouncing his car off the wall in qualifying, he benefitted with the #77 crew helping him stay in the top 35. He not only remained 34th in owner’s points, but slightly expanded his lead over 35th place #84-Speed. 27) #38-David Gilliland Ran as high as 5th after he took a two-tire stop under the fourth caution on lap 168. 29) #09-Sterling Marlin Turned in a solid finish just one lap down in team owner James Finch’s 100th start. 30) #15-Paul Menard On lap 158, he cut down on #41-Sorenson as the two raced off turn two. Though his left-rear made contact with the #41's right-front, the two kept going. Otherwise, he cruised to the finish in his last race for DEI; will drive Doug Yates’ #98 in 2009. 31) #41-Reed Sorenson After sustaining some damage to the right-front of his car on lap 158 when #15-Menard cut across his nose off turn two, he was involved in the fourth caution of the race ten laps later when #47-Ambrose crossed his nose off turn four, grinding his car against the outside wall. The right side of his car was further scratched up when he scraped the outside wall in turn two for two consecutive laps, the second with 68 to go bringing out the sixth caution of the race. His damaged car drove through the grass after it finally got off the wall. Will drive Gillet-Evernham’s #10 in 2009. 32) #84-Brian Vickers When rumors that Mark Martin would drive the car were quashed earlier in the week, he was tabbed to drive in place of Scott Speed to get the car into the top 35, putting Speed in his #83. Around lap 146, he sustained a little damage to his car when #2-Ku. Busch made contact with him, ultimately cutting down the left-front tire on the #2, but still finished well enough to beat #47-Ambrose for the 35th spot in owner’s points by just 13 points. 34) #01-Regan Smith (R) The top-finishing 2008 rookie for the eleventh time this season, one behind #77-Hornish, Jr. with a series-leading twelve (who DNQ’d) and ahead of #10-Carpentier with seven and #00-McDowell with six. This was the first race in which he or any of the other rookie candidates who started early in the 2008 season was the only one in the field. He was then awarded Rookie of the Year honors, becoming the first winner of that award to not DNF in all of his rookie starts (34). 35) #8-Aric Almirola Brought out the first caution of the race on lap 70 when he broke loose off turn four and spun through the infield grass, narrowly avoiding contact with the inside wall. 36) #78-Joe Nemechek His team announced earlier in the week that it would be going part-time in 2009, but the weekend started of good when he qualified a strong 16th. However, with 90 laps to go, he was involved in the fifth caution of the race when #31-J. Burton got loose under him off turn three and clipped his left-rear, causing the #31 to slide through the infield grass. 37) #70-Tony Raines Narrowly averted disaster when on lap 130, during the second round of green-flag stops, he drove through the grass entering pit road and nearly slid back onto the track off turn four. He kept control of the car, however, and his crew was able to clear away the grass on his splitter. The team will switch to the #14 for new owner-driver Tony Stewart in 2009. 38) #55-Michael Waltrip Scraped the right-rear of his car heavily during his qualifying lap, resulting in him turning in the slowest speed on Friday. 39) #45-Chad McCumbee (R) Scraped the wall during qualifying, but did not have to go to a backup car. His team will switch to the #44 next year, availing the #45 for any starts Kyle Petty will make in 2009. 40) #31-Jeff Burton Was involved in the fifth caution of the race with 90 laps to go when he got loose off turn three and slid into the left-rear of #78-Nemechek, causing him to slide through the infield grass. Though he did not hit anything, his car handled terribly after the incident and he was off the pace for the rest of the night. Ran the final race with AT&T as an ironic car sponsor in the NASCAR Sprint Cup Series. 41) #88-Dale Earnhardt, Jr.** Again, he ran the extreme-high line, again, he rallied toward the front of the pack in the early-to-mid stages of the race, and again, his run was undermined by terrible luck late in the race. He qualified 22nd, but was up to 10th by lap 120. Out due to wheel bearing problems. Under the second caution of the race on lap 140, he lost several spots when his car stalled off pit road. Still, he came back, and was running in 12th with 50 to go. A scheduled stop with 22 to go seemed like it was going to help his car’s then-ailing handling, but when he returned to the pits with 19 to go and the crew lifted the hood, a wheel bearing problem was discovered and it took him out of the race. Unfortunately, the low attrition of the race dropped him so far back that he fell out of the top 10 to 12th in points. 42) #47-Marcos Ambrose (R) Looking to defend his hold on the 35th spot in owner’s points, he faced an uphill battle when he qualified in 41st, was lapped early on lap 45, and was nearly run over by #99-Edwards on lap 118 when the #99 was lapping him again. His day got much worse on lap 168 when he crossed the nose of #41-Sorenson coming off turn four, turning him into the outside wall and bringing out the fourth caution of the race. The incident forced him behind the wall until he returned to the track 43 laps down with 56 to go. The accident was costly in owner’s points as he fell out of the top 35, placing him 36th behind #84-Speed by 13 points going into 2009. Will have to qualify or race his way into his first Daytona 500 in February. 43) #2-Kurt Busch Struggled mightily through the weekend, starting with scraping the wall in qualifying, giving him only a 37th place starting spot, and being one of the first cars #99-Edwards lapped on lap 45. 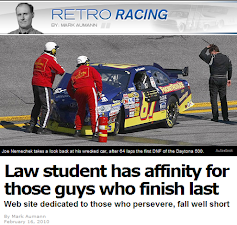 He lost more time when he was forced to serve a pass-through penalty on lap 54. During the second caution on lap 140, he made contact with #84-Vickers on pit road, damaging his left-front tire. Three laps after the lap 148 restart, his left-front tire cut down coming down the backstretch. He attempted to get onto pit road, but ground the outside wall in turns three and four, bringing out the third caution of the race. He cut down to the inside of the track to pit, ultimately resulting in three penalties for speeding, pitting too soon, and for a commitment cone violation. Later, with 61 to go, he brought out the seventh and final caution of the race when he cut down a right-rear tire and ground his car against the wall in turn one, shedding a strip of rubber onto the track. #48-Jimmie Johnson all but clinched his record-tying third consecutive Sprint Cup championship in utterly dominant style. Johnson was fastest in the first practice session, then won the pole, led the most laps, survived a green-white-checkered finish, and scored his seventh victory of the season and third straight at Phoenix. On top of it all, Johnson widened his point lead over #99-Edwards to 141 points. Though Johnson didn’t take the lead until lap 81, he hardly relinquished it after that and made a swift pass on #26-McMurray with 95 to go almost instantly after the restart. After that, he did have a moment of tension when he thought he had a right-rear tire going down with 51 to go, then was saved by the caution that came out that lap. Johnson now only needs a 36th place finish or better to clinch his third consecutive Sprint Cup championship. Led a race-high 217 laps. 1) #48-Jimmie Johnson** THE WINNER! 2) #2-Kurt Busch Like #26-McMurray, he continued his own late-season rally. He qualified 3rd, took the lead for the first time by taking 2 tires under the first caution on lap 20, and managed to hold the top spot until #48-Johnson got by on lap 81. After that, he was never far from the top 5 and, in fact, was mostly either 2nd or 3rd. For the final 67 laps after passing #26-McMurray, he was running 2nd behind #48-Johnson. When the race came down to a green-white-checkered finish, he did everything he could to catch the #48, closing the most through the dogleg, but came up just short. Led 60 laps. 3) #26-Jamie McMurray Had a big week following his season-best finish at Texas. Through the week, he proposing and became engaged to his girlfriend, receiving word that Donnie Wingo would return as his crew chief in 2009, qualified on the outside pole, beat #48-Johnson to lead the first laps of the race. The laps were the first he’d ever led at Phoenix. In doing so, he matched his 3rd place finish from Texas. Led 28 laps. 4) #99-Carl Edwards** His weekend got off to a great start with another significant victory, leading the most laps in the Nationwide Series race and winning to close ever-closer to point leader #07-Bowyer. For the Cup race, however, he was not quite as competitive. He qualified 15th and was still struggling around that position on lap 57. Still stuck in traffic on lap 67, he was forced to smoke his right-front tire to avoid hitting #31-J. Burton and #41-Sorenson in front of him. He made his bid for top 10 during the fifth caution brought out by debris on lap 211, a timely stop moving him up to 7th for the restart with 95 to go. He was up to 4th by 32 laps to go. His points deficit to #48-Johnson increased to 141 points, setting the two apart from the field as the lone contenders for the title at Homestead. 5) #11-Denny Hamlin** Was the fastest car in Happy Hour and came within a half-carlength of beating #99-Edwards in the Nationwide Series race. 6) #88-Dale Earnhardt, Jr.** On lap 6, he got very loose off turn two, but saved it. He’d qualified 5th and, after losing a couple spots along with #26-McMurray when cars such as #2-Ku. Busch took two tires under the first caution on lap 20, worked his way back into the top 5. He was up to 2nd by the lap 149 restart following the fourth caution of the race, fell back a few spots, then moved back up to 4th with 52 to go. 7) #29-Kevin Harvick** Running his own truck, he took the checkers in the wild Craftsman Truck Series race on Friday and looked to pick up his first Sprint Cup win of the season at one of his best tracks. He drove rather aggressively, bumping #99-Edwards into turn one on lap 57. On lap 72, he nearly collided with the slowing #12-Newman as the #12 attempted to get onto pit road and, with 21 to go, squeezed teammate #31-J. Burton between his car and #15-Menard. 8) #18-Kyle Busch** Brought out the eighth caution of the race with 28 to go when he rubbed against the left-rear tire of #41-Sorenson, cutting it down with his splitter and causing the #41 to spin. 9) #31-Jeff Burton** Ran a solid race and, coming to the ninth caution with 21 to go, was squeezed between teammate #29-Harvick and #15-Menard. Under the yellow, he and #15-Menard exchanged bumps to each other’s rear bumper at almost the same time as #20-Stewart and #16-Biffle did the same. 10) #6-David Ragan Qualified 30th and, by the time there were 71 laps to go, was up to 15th. 11) #16-Greg Biffle** Though his crew was able to make repairs to his primary car after slapping the outside wall on the dogleg during both his qualifying laps, but he was forced to start at the back of the pack due to a transmission change. Looking to make up some time, he stayed out a few laps more during the first round of green flag stops before finally pitting on lap 109. He remained in the top 10 for most of the race after that, running 9th with 88 to go. With 21 to go, he engaged in a bumping match with #20-Stewart coming to take the ninth caution of the race. Led 7 laps. 12) #07-Clint Bowyer** Pulled an impressive comeback in the Nationwide Series race on Saturday, coming back from damage sustained in a restart accident to get a top 5. Though he scored a top-15 finish on Sunday, he never contended for the win and went a lap down to #48-Johnson on lap 119. He got the lap back as the Lucky Dog when the big wreck sparked by #5-Mears and #42-Montoya brought out the seventh caution of the race with 40 to go. 13) #9-Kasey Kahne May have sustained some slight damage to the right-front of his car when #77-Hornish, Jr. spun himself off the nose of his car under the first caution on lap 20. His car pushed coming off turn four on lap 160, bounced off the outside wall, then bumped into the left-front of teammate #10-Allmendinger on his inside. Both cars kept going. He lost a lap sometime after the incident, then got it back as the Lucky Dog when debris brought out the fifth caution on lap 211. 14) #8-Mark Martin Was black-flagged during the first round of green-flag stops on lap 98 because his crew had left some lugnuts loose. He lost a lap, then got it back when the ninth caution fell for debris off #41-Sorenson with 21 to go. 15) #17-Matt Kenseth** When the third caution of the race fell after the lap 37 restart was called off due to rain, the red flag came out on lap 44 for around 15 minutes. Under that yellow, his car was discovered to have a flat left-front tire. When the yellow came back out again on lap 45, he pitted to get new tires after running around on the rim for a lap. He lost a lap sometime after that, then got it back as the Lucky Dog when #41-Sorenson’s crash brought out the eighth caution with 28 to go. He was then spun out along with #20-Stewart in the tenth and final caution with 7 to go when #10-Allmendinger bumped #20-Stewart into a spin when the #20 was running between the #10 and his car. His car avoided damage in the spin, but was then damaged a little when #7-R. Gordon locked his brakes and slid into him. As he crossed the finish line, his car twitched left and turned #10-Allmendinger on the inside into the inside wall along with #42-Montoya, sparking a pileup at the end of the frontstretch. 16) #10-A.J. Allmendinger Qualified 13th and, despite some struggles in traffic, turned in another impressive top-20 run in the third Gillet-Evernham Dodge. On lap 154, he was hovering in 11th, but three laps later may have sustained damage to the right-front of his car when he made contact with the left-rear of #01-Smith off turn four. On lap 160, he was again in the wrong place at the wrong time when #9-Kahne bounced off the turn four wall and hit him in the left-front, causing him to wobble to the inside of the track. Still, he kept going and was in 13th with 71 to go. Running around that spot, he brought out the tenth and final caution of the race with 7 to go. It was then that he dove under #20-Stewart and #17-Kenseth going into turn one, clipped the #20 in the left-rear with his right-front and putting both the #17 and #20 into a spin. Coming across the finish line, he was bumped by the twitching car of #17-Kenseth, causing him to cross the hood of #42-Montoya. The contact forced him head-on into the inside wall, blocking the #42 in the process. His disabled car then wobbled up the track and lightly touched the outside wall in turn one. 17) #42-Juan Pablo Montoya Lost a lap during the first third of the race, then got it back as the Lucky Dog when debris brought out the fourth caution on lap 141. He then sparked the seventh caution of the race with 40 to go when he bumped #5-Mears loose on the backstretch, sending #5-Mears into a spin through turn three. He was himself damaged in the final run across the finish line when #10-Allmendinger, forced to turn hard left by #17-Kenseth, crossed his nose, forcing him to hit the inside wall. As more cars piled in, his car slid up the track and stopped facing backwards against the outside wall entering turn one. The race was the final one for a Texaco / Havoline-sponsored car in NASCAR, dating back to Davey Allison’s landmark rookie season in 1987. 18) #47-Marcos Ambrose (R) Like #7-R. Gordon, he had trouble getting his car started to make his qualifying lap, but managed to get it going. Though he sustained some noticeable nose damage to his car in the seventh caution of the race with 40 to go when he couldn’t stop fast enough to keep from shoving #66-Riggs into the stopped #5-Mears, his crew made excellent repairs and he salvaged a top-20 finish. The efforts of both driver and crew were rewarded with the team’s move back into the 35th spot in owner’s points, now 17 ahead of #84-Speed. 19) #43-Bobby Labonte Sustained some minor right-front damage to his car in the seventh caution of the race with 40 to go when the spinning #77-Hornish, Jr. crossed his path, then spun off his car’s nose. 20) #22-Dave Blaney Debuted the team’s first new main sponsor since 2000 with longtime Bill Davis Racing sponsor Bad Boy Mowers on the car. Sustained some minor damage to the right side of his car in the final lap wreck when #20-Stewart’s wrecking car bumped into him just hard enough to make him almost spin in turn one. 21) #28-Travis Kvapil Sparked the follow-up accident as the field crossed the finish line when he was forced to slow suddenly entering turn one to avoid the wrecking car of #42-Montoya, causing #20-Stewart and #01-Smith to rear-end him in a chain-reaction. The contact sent his car spinning to the inside in front of #15-Menard, who spun as well. Both cars blocked the inside line, causing #21-Elliott, #96-Schrader, and #7-R. Gordon to pile in as well. 22) #20-Tony Stewart** Qualified 29th and finally made his way into the top 10 by 88 to go. Unfortunately, things started to go south when, like #70-Sauter, his car stalled when the yellow came back out following the red flag brought out by the seventh caution of the race with 40 to go. Fortunately, future teammate #12-Newman gave him a push and his car was soon back on its way around the track. Coming to take the ninth yellow of the race with 21 to go, he made contact with #16-Biffle, then shunted the #16 as the two slowed off turn four. He was then spun out by #10-Allmendinger in the tenth caution of the race when the #10 bumped him in the left-rear, sending his car spinning up the track with #17-Kenseth, who was on his outside. As he crossed the finish line, he could not avoid hitting the slowing #28-Kvapil and was rear-ended by #01-Smith, sending him into a spin with a damaged front end. As he passed the stopped car of #42-Montoya on his right, his car turned hard left and bumped against the right side of #22-Blaney, sending his car sliding back up the track before it again rolled down the banking. 23) #01-Regan Smith (R) The top-finishing rookie for the tenth time in 2008 behind leader #77-Hornish, Jr. with twelve and ahead of both #10-Carpentier with seven and #00-McDowell with six. The weekend got off to an unusual start as his primary car got banged up in the hauler on the way to the track, requiring some repairs. It got banged up again on lap 157 when #10-Allmendinger bumped into his left-rear off turn four. As he crossed the finish line, he had nowhere to go when #28-Kvapil and #20-Stewart stopped in front of him in the outside groove, and when #21-Elliott rear-ended him, he was forced to knock the #20 into the #28. He emerged from the smoke with smoke pouring from the rear of his damaged car. 25) #44-David Reutimann Though he qualified an excellent 4th place, he slipped back gradually through the third caution for rain on lap 37. When the caution came back out on lap 45, he came onto pit road for an unscheduled stop because his crew had failed to remove the cover on the car’s cowl. The same thing had happened to #18-Ky. Busch during qualifying at Infineon in June, allowing him to take another qualifying lap. He narrowly avoided the pile-up in turn one after the checkered flag when the spinning #42-Montoya crossed his path. 26) #15-Paul Menard After banging doors with #31-J. Burton coming to the ninth caution with 21 to go, he and the #31 both bumped each other in the rear bumper under the yellow. As he crossed the finish line, he spun to avoid the wrecking #28-Kvapil and turned hard left himself, then was turned the other direction by the wrecking #21-Elliott. His car and the #28 blocked the inside groove, leaving #96-Schrader and #7-R. Gordon with nowhere to go. 27) #96-Ken Schrader His car sustained some minor damage after the checkered flag when #15-Menard and #28-Kvapil blocked his path to the inside. 28) #7-Robby Gordon Like #47-Ambrose, he had trouble getting his car started to make his qualifying lap, but managed to get it going. On race day, he was first involved in the tenth and final caution of the race with 7 to go. Unable to slow down fast enough to avoid the spinning cars of #20-Stewart and #17-Kenseth, he locked his brakes and spun into the #17, resulting in minor damage to both cars. After the cars crossed the finish line, he locked his brakes once more and was seen sitting backwards on the inside wall, having been blocked in by the wrecked #15-Menard and #28-Kvapil. 29) #21-Bill Elliott Had nowhere to go when #28-Kvapil, #20-Stewart, and #01-Smith slowed in front of him as the field began to wreck after crossing the finish line and drilled the back of the #01, severely damaging the front of his car. His car then turned hard left and clipped the spinning #15-Menard, forcing the #15 to turn the other direction toward the outside wall. 30) #19-Elliott Sadler Suffered damage in the first caution of the race on lap 20 when #77-Hornish, Jr. got loose under him in turn three and sent his car backing into the outside wall. Repairs cost him a lap, then he got it back as the Lucky Dog under the second caution on lap 31. He was later the car which #5-Mears crossed the nose of with 45 to go, resulting in #5-Mears’ amazing save. 31) #41-Reed Sorenson Was taken out in the eighth caution of the race with 28 to go. #18-Ky. Busch had rubbed into his left-rear of his tire on the backstretch and cut it down, causing him to spin rear-first into the outside wall in turn three. The rear panel of his car fell off soon after the restart, bringing out the ninth caution of the race with 21 to go. 32) #09-Sterling Marlin Was running well behind the big wreck with 40 to go that brought out the seventh caution of the race when he accidentally clipped #45-Petty, sending the #45 backing into the outside wall. 33) #77-Sam Hornish, Jr. (R) Brought out the first caution of the race on lap 20 when he slid up into #19-E. Sadler entering turn 3, backing the #19 into the outside wall as his car drifted through the turn. Though he did not sustain any damage, he spun on pit road under the yellow when he crossed the nose of #9-Kahne. #99-Edwards, a couple cars behind the incident, had to lift off the throttle, but was fortunately not too close to the scene. He then suffered more damage in the seventh caution of the race with 40 to go when, as #5-Mears slid to the inside, he got loose up high in turn three and turned hard left just in time to be hit in the left-front by #43-B. Labonte. His car then spun backwards and hit the outside wall with the driver’s side at a reduced speed. 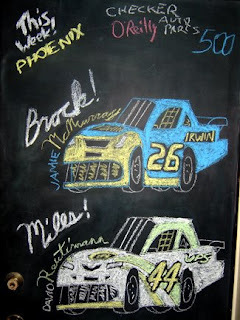 34) #12-Ryan Newman Qualified 6th, then followed teammate #2-Ku. Busch off pit road under the first caution on lap 20 to get up to 2nd. Still running 5th on lap 72, disaster struck when he blew a right-front tire, forcing him to make an unscheduled stop. He nearly collided with #29-Harvick as he came onto pit road. He returned to the race one lap down but, like #18-Ky. Busch at New Hampshire in September, had broken a hind joint as his car drove on the flat tire, forcing his car to lean very hard to the right. He returned to pit again on lap 78. By lap 112, he was behind the wall, his crew working to replace the broken part. When future teammate #20-Stewart stalled following the seventh caution and second red flag of the race with 40 to go, he helped push #20-Stewart to get him going again. 35) #38-David Gilliland Was involved in the most spectacular crash of the race during the seventh caution with 40 to go. Forced to stop up high behind the spinning #77-Hornish, Jr., his car was then drilled in the rear bumper by #84-Speed, who became lost in the smoke. 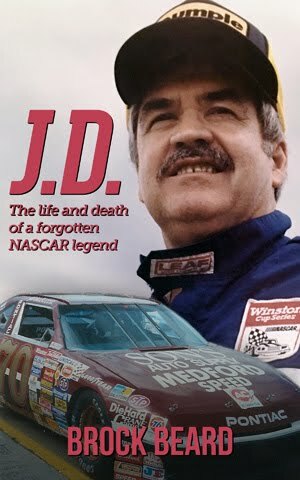 The contact was so hard that the rear of his car was lifted onto the hood of #84-Speed, the rear tires of his car sitting at the base of the #84's windshield. Surprisingly, his car was still under power and he even spun his tires on the front of the #84 as #84-Speed climbed out of his car. With 25 to go, he returned to the track under power with most of the sheetmetal removed from his car. 36) #5-Casey Mears Qualified 16th, but marched his way through the field up to 6th by lap 125. Running 5th on lap 202, he nearly suffered the same fate as #1-Truex, Jr. when he caught a piece of debris, but before he could start spraying water, the debris came off as he followed #96-Schrader. Unfortunately, his day literally started slipping away with 45 to go when he crossed the nose of #19-E. Sadler in turn one and he made a dramatic save. Just 5 laps later, he was the first car damaged in the seventh caution of the race when #42-Montoya knocked him loose on the backstretch, causing his car to slap the outside wall with his right-rear and slide sideways through turns three and four. 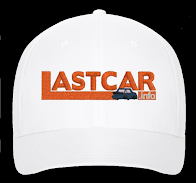 His car stopped down low, where it blocked the path for #66-Riggs and #47-Ambrose, who could not avoid running into him. 37) #70-Johnny Sauter Squeezed his way into the field by starting 43rd and seemed to recapture the magic of his previous runs for HAAS at Phoenix. By lap 93, he’d raced his way up to 20th and held fast to the lead lap during the race’s long green-flag runs before finally going down a lap. He then received the Lucky Dog under the sixth caution when debris was spotted again with 51 to go. He was also fortunate not to be involved in the seventh caution of the race with 40 to go when he managed to come to a full stop between #38-Gilliland and #43-B. Labonte, who both sustained damage. Unfortunately, his car stalled when the yellow came back out with 39 to go, and he required a push from a flatbed. 38) #66-Scott Riggs Was taken out in the seventh caution of the race with 40 to go when he could not slow down fast enough to avoid hitting the stopped car of #5-Mears and ran into the driver’s side of the #5, #47-Ambrose behind him shunting his car into the #5. His car stopped in the grass, bent-up both in front and in back. Though he was okay, the wreck was costly to his owner’s points ranking, dropping him to 33rd, 110 points ahead of 35th. 39) #45-Kyle Petty Made his final Sprint Cup race of 2008, his first since Kansas the previous month, and, as rumors have it, perhaps his last in the #45. The rear of his car was damaged in a follow-up wreck behind the big seventh caution pile-up with 40 to go. Somehow, #09-Marlin had got into the back of his car, sending him backing into the outside wall in turn three. 40) #84-Scott Speed (R) Sometime before lap 85, he sustained some minor damage to the front of his car above the splitter, requiring a small patch of blue tape on the right-front corner. The damage became much worse in the seventh caution with 40 to go when he became lost in the smoke while running up high in turn three and wound up running into the rear of #38-Gilliland’s stopped car so hard that it lifted the rear of the #38 onto the front of his car. He climbed out of the car okay as #38-Gilliland’s attempt at getting off his car caused the rear tires of #38 to grind against his hood. The red flag was thrown yet again so that NASCAR could separate the two cars. The wreck dropped his team to 36th in owner’s points, 17 behind #47-Ambrose, and sparked rumors that Mark Martin would drive the #84 at Homestead. The rumor was later quashed. Led 1 lap. 41) #24-Jeff Gordon** Qualified 7th, was running 4th on lap 125, and looked to be on his way to a top 10 run despite concerns of a change in his engine’s pitch. This pitch change proved to be his car’s downfall, however, for on lap 171, his car started to slowly drop back from what was diagnosed as a broken valve spring. By the time he was lapped by #48-Johnson on lap 195, he was running 4 mph off the pace. His crew looked under the hood during the fifth caution on lap 211, but was unable to diagnose the problem. He was back in 29th on the restart with 95 to go. Then, with 43 to go, the engine finally blew in a plume of smoke on the backstretch, taking him out of the race. 42) #83-Brian Vickers Brought out the second caution of the race on lap 31 when he suddenly blew a right-front tire going down the backstretch and slammed the outside wall very hard in turn three. He walked out okay, but the car did not return to the track. 43) #1-Martin Truex, Jr. Under the first caution of the race on lap 20, his car sprayed a tremendous amount of water as an errant clear plastic bag on his grille forced his engine to overheat. Suddenly, by the second caution on lap 31, he was in the garage area, the overheating problem having taken him out of the race.